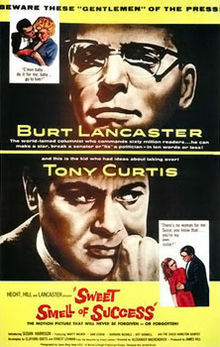 Great late melodrama, Lancaster rarely better, Tony Curtis never better. “I’d hate to take a bite out of you. You’re a cookie full of arsenic.” The sparse camera direction would gladden David Stratton’s heart, only producing the odd flourish where it enhances the scene (e.g. 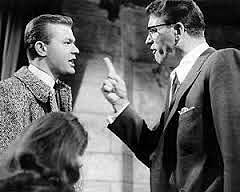 in “21”, where the camera’s eye swings from Manny Davis to Miss James and cuts back to J.J. Hunsecker, who is saying that every hep person knows that “ This one is toting that one around for you.” ).